ONE: In a heat safe container, add the cocoa butter and melt in the microwave using 1 minute bursts until the butter is liquid. Make sure your container can withstand high heat, as cocoa butter melts around 100 degrees F. Once melted, set aside to cool. Be careful when removing from the microwave, the container will be very hot. 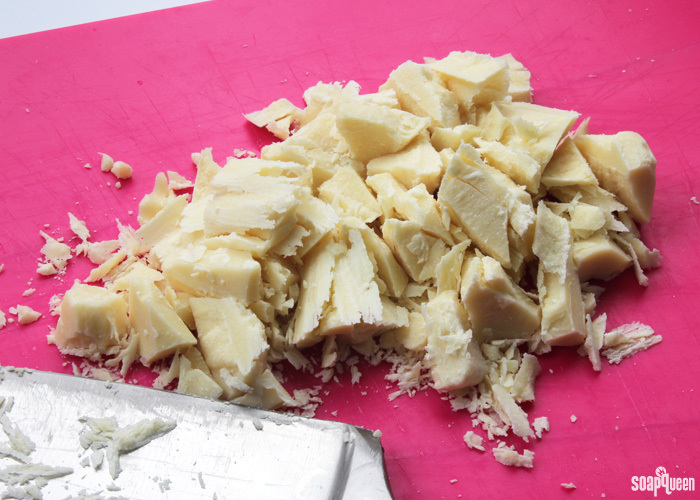 If you are working with large chunks of cocoa butter, cut it into small pieces for easier melting. 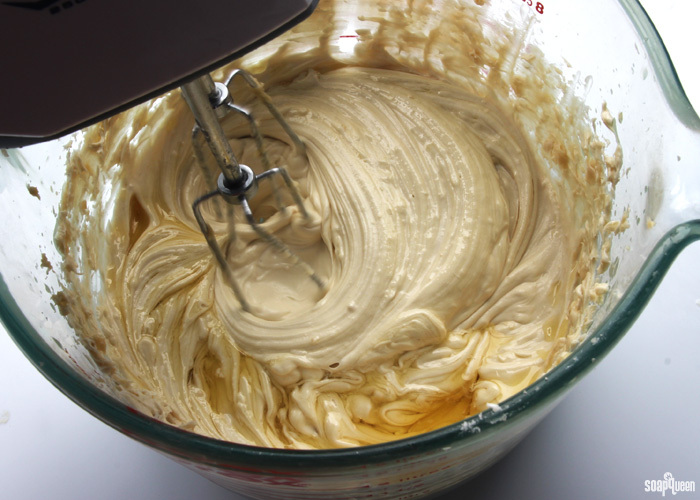 TWO: In a large mixing bowl, add the avocado and coffee butters. 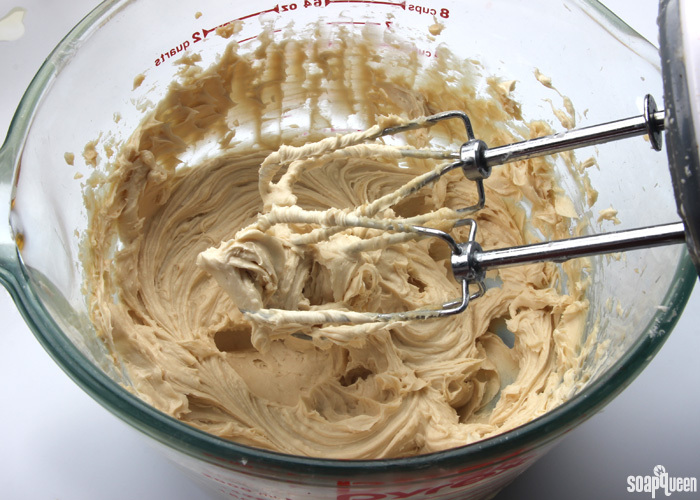 Use a hand mixer (or stand mixer) to whip the butters together until completely smooth. Scrape the edges of the bowl to ensure the entire mixture is incorporated. 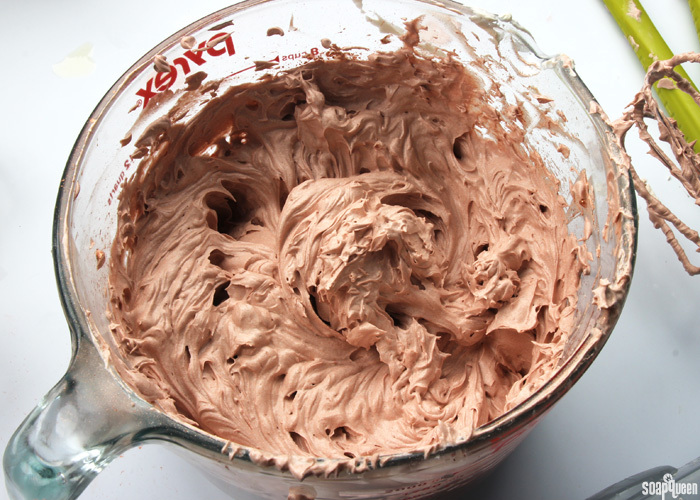 Continue to whip the mixture on medium for several minutes to ensure a smooth texture. 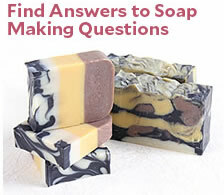 THREE: Check the temperature of your cocoa butter. You want it to be around 120 degrees or below. Very slowly, add about 1/4 of the melted cocoa butter, and whip until fully incorporated. 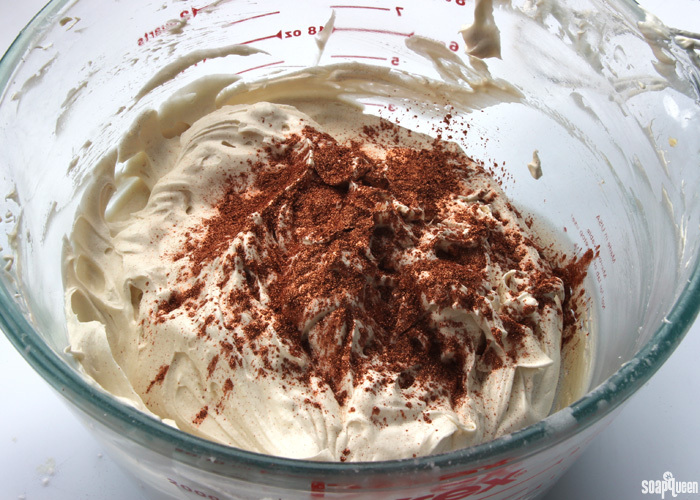 FOUR: Continue adding small amounts of the melted cocoa butter to the mixture, whipping between each addition until all the cocoa butter has been added. 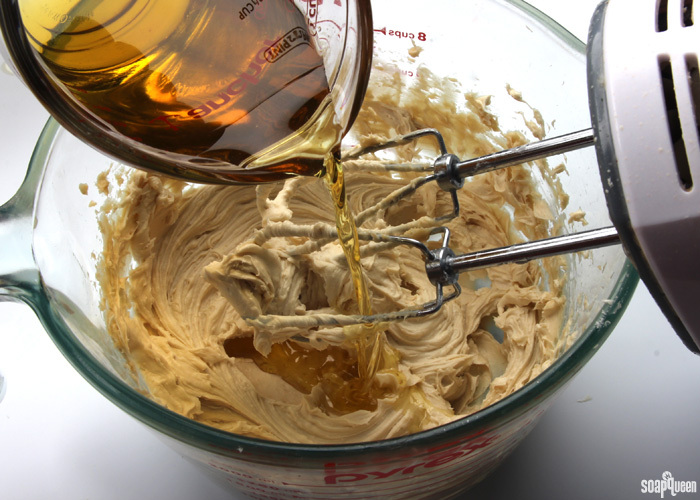 Whip the mixture for several minutes to ensure the butters are fully mixed and completely smooth. 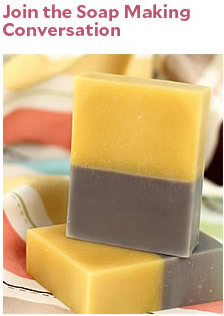 FIVE: Add the Amber and Ancient Sedona Fragrance Oils. 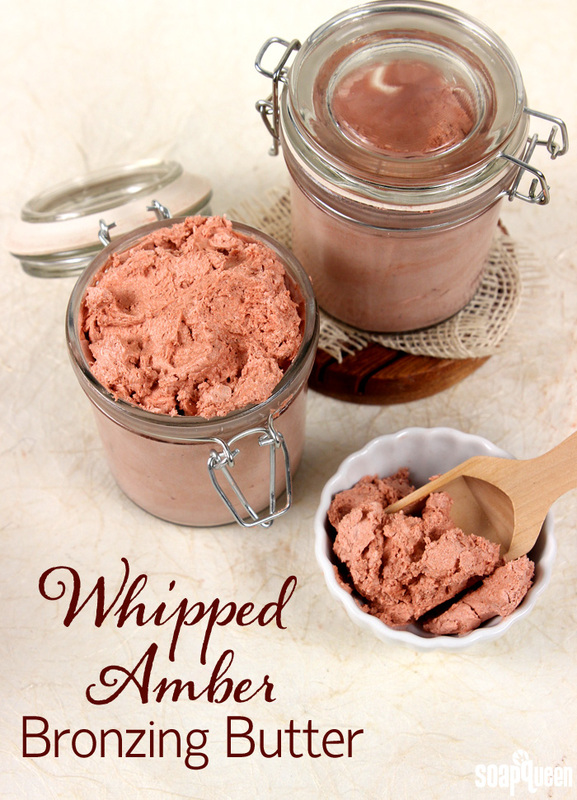 Whip for several seconds to fully mix in the fragrances. You can see that as the butter cools, it becomes lighter in color. SIX: Add the tapioca powder, and use a spatula to incorporate. 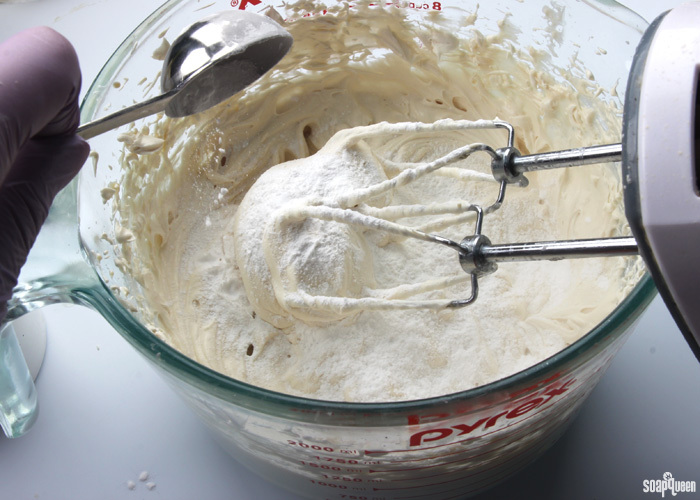 Once it has been mixed in, whip with the hand mixer to further blend in the powder. SEVEN: Add the Copper Sparkle Mica, and use the hand mixer to blend in until completely incorporated. Test the color on your skin. If you prefer a deeper color, add more Copper Sparkle Mica into the mixture 1 teaspoon at a time until you are happy with the color. 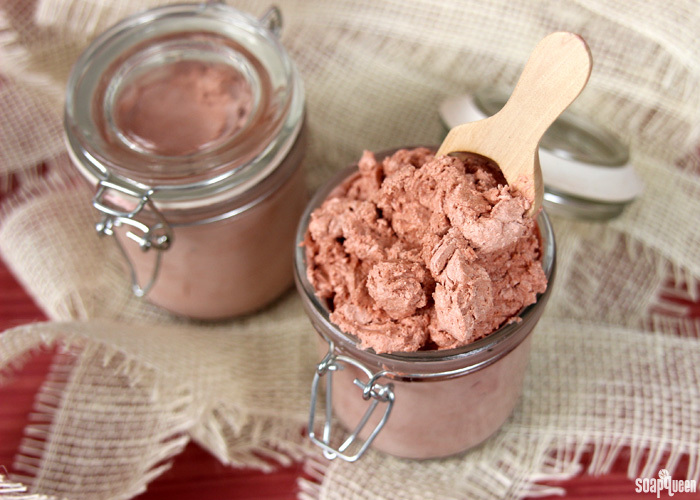 Transfer the body butter into jars and seal. Store the body butter in a dry, cool place. 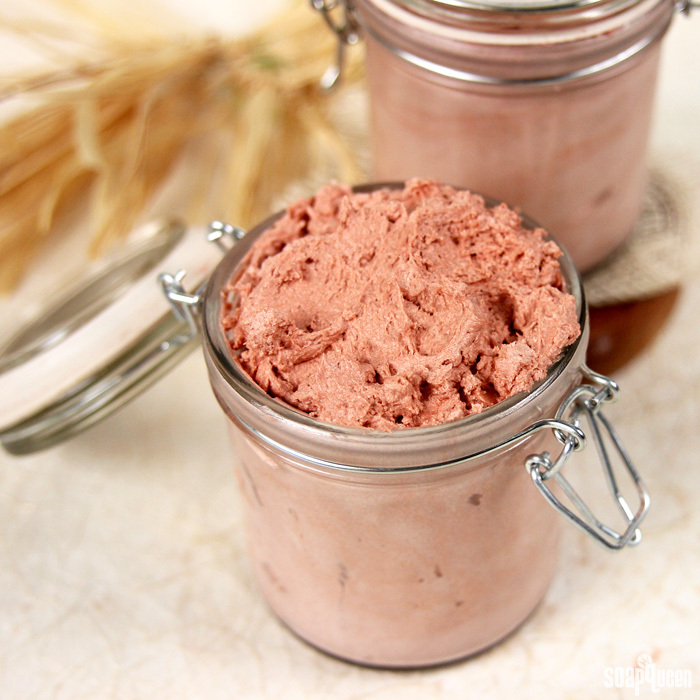 As the body butter cools, it tends to take on a foamy, lightweight texture similar to mousse. 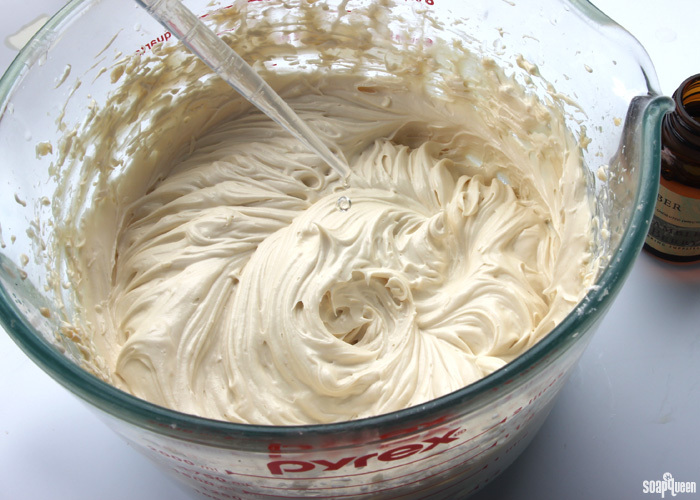 This body butter may begin to melt when exposed to high temperatures (90 ° F or above). 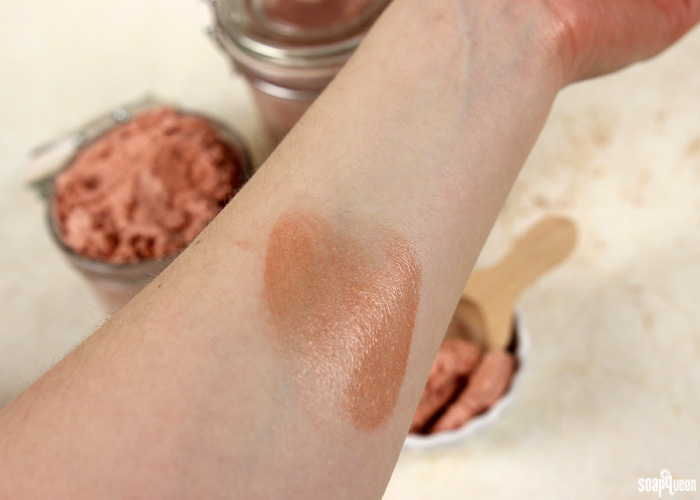 Below is an example of what the butter looks like on fair skin. Once worked into the skin and blended, the color lightens. I’ve been wearing it on my legs as a faux-nylon and it gives such a nice shimmer and a hint of color.